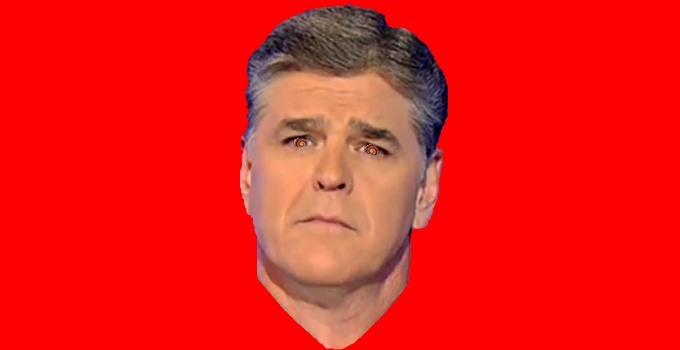 Right-wing pundit Sean Hannity is becoming unhinged. That is the conclusion of this writer after hearing the rant that Hannity gave on 08/03/16. Hannity hasn’t been more wrong since he supported the lawlessness of Cliven Bundy. 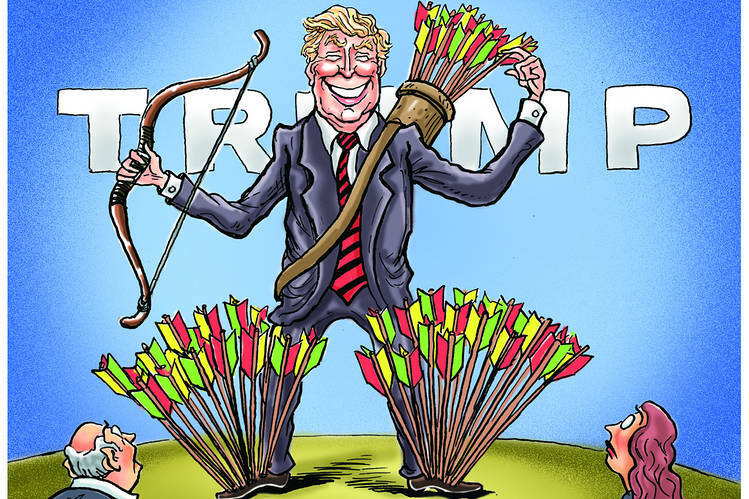 If Trump loses in November, then it will be because of Trump, not because of anyone else. 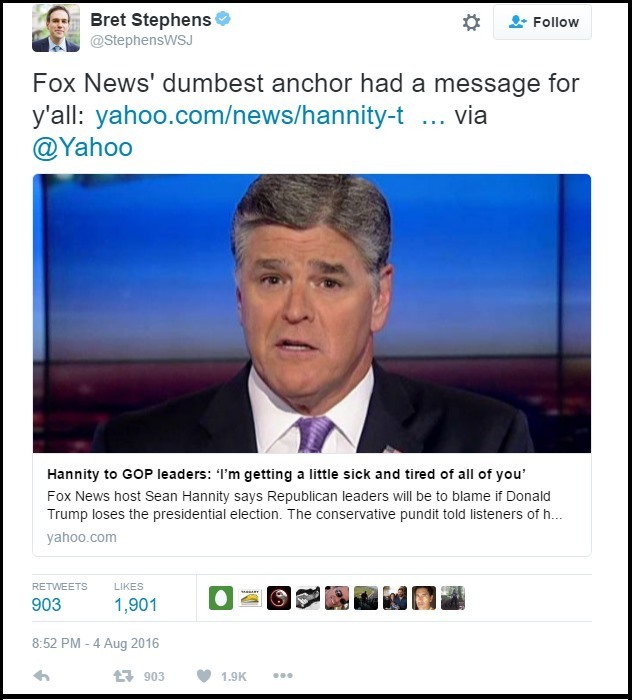 It is no wonder that the Wall Street Journal’s deputy editorial-page editor Bret Stephens tweeted that Hannity is Fox News’ dumbest anchor. Keep in mind that the Wall Street Journal is owned by the same company that owns the Fox News Channel. 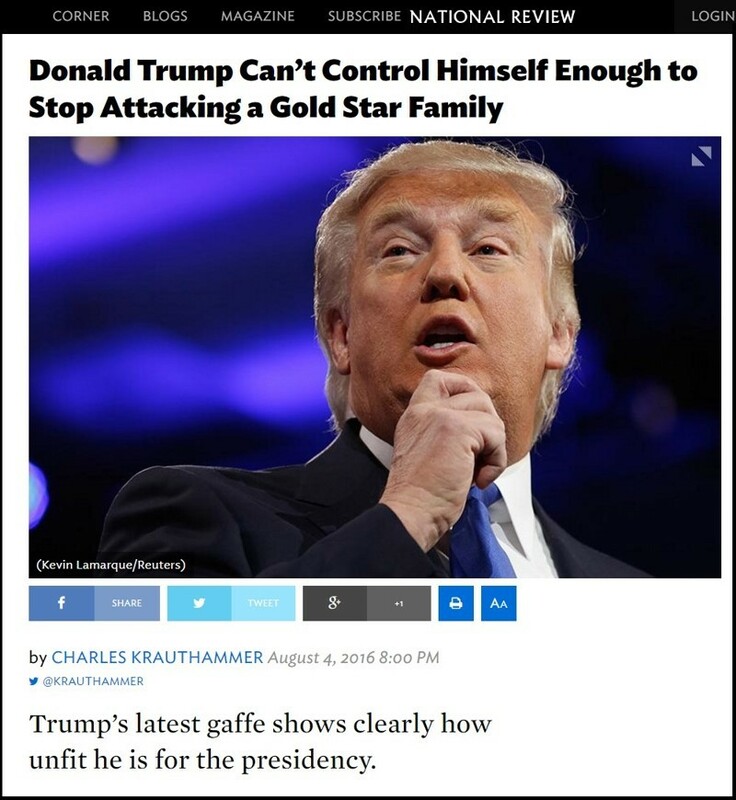 Fox News contributor Dr. Charles Krauthammer has given his own analysis of Trump’s behavior and has concluded that Trump isn’t fit to be President. In short, others can see the handwriting on the wall, but Hannity can’t. So, instead of admitting that Trump would have himself to blame for a loss in November, Hannity resorts to looking for scapegoats. Oh well, at least Hannity admits that he is not a journalist. Side Note: Peggy Noonan ends her Wall Street Journal commentary with the following observation.